We're proud to partner with companies who lead the way in sustainable practice and recycled products. ​We'll relieve your concerns over excess waste by handling the appropriate recycle routes with an emphasis on the ones with the highest rate of recycle and reuse in their product pipelines. Solutions Yes’ copier cartridge supply comes from companies leading the way in low impact print solutions. 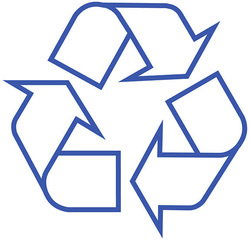 Kyocera and Xerox reuse or repurpose materials and we make it easy for you to get those materials to the right place. Many of our printer cartridges come with a pre-paid recycling label to ensure components are properly extracted to be reused and avoid landfill. We will take the responsibility of local recycling options for unusable and retired equipment, parts and product packaging. Plus, when you are ready to move toward paperless document storage, delivery and reproduction, we can help. *ISO 14000 is a family of standards related to environmental management that exists to help organizations (a) minimize how their operations negatively affect the environment; (b) comply with applicable laws, regulations, and other environmentally oriented requirements, and (c) continually improve their environmental standards.